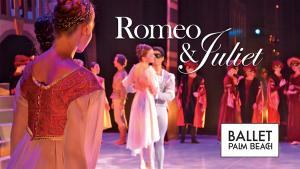 Ballet Palm Beach presents "Romeo & Juliet"
Ages 6 and up. No babes in arms or strollers permitted in the auditorium. No food or drinks in the auditorium. Where civil blood makes civil hands unclean…"
In Renaissance Italy, two noble families, the Montagues and the Capulets, are embroiled in a long-standing feud. All matters become tragically complicated when a young Romeo Montague and a beautiful Juliet Capulet fall in love at a masquerade ball. 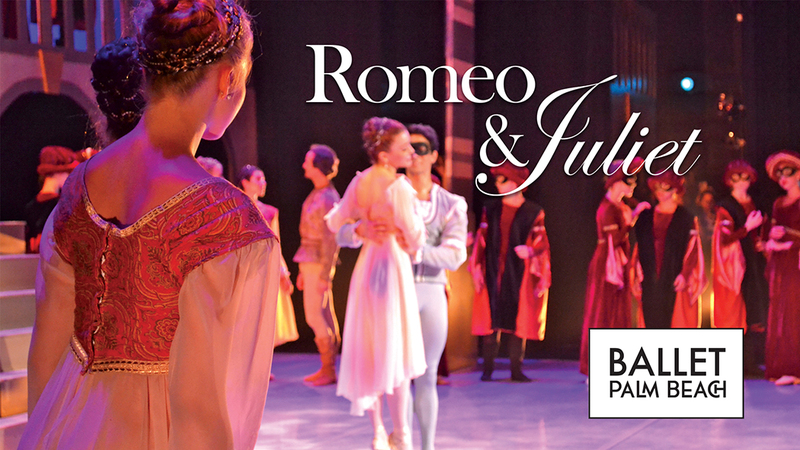 Translated through the power of dance and guided by Prokofiev's passionate score, Ballet Palm Beach presents Romeo & Juliet. The ballet features exciting swordfights, dramatic pas de deux, and vivid ensemble scenes to bring Shakespeare’s tragedy to life.